One of the best cooking lessons I've learned is that when you want to make a classic recipe for the first time, always consult America's Test Kitchen. Their collection of classic recipes coupled with their intensive testing and tweaking means that you're (almost) guaranteed to end up with a great result out of the gate. 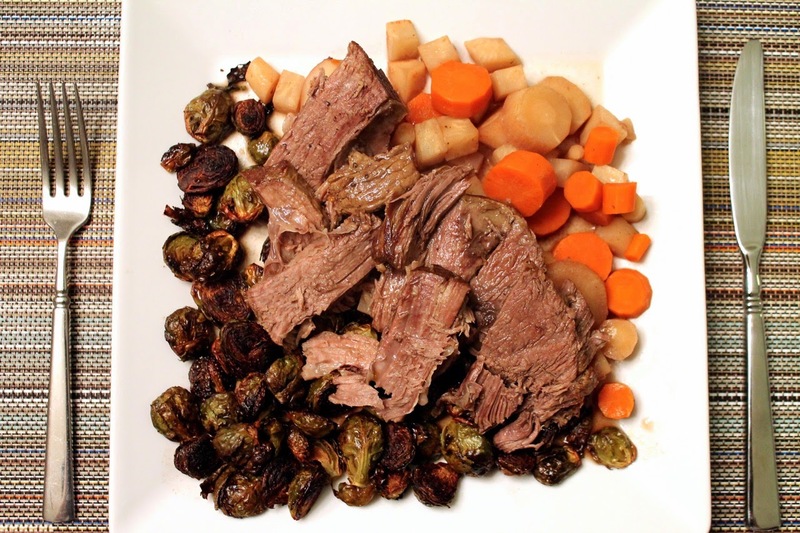 I wasn't disappointed by their recipe for Pot Roast with Root Vegetables, which I turned to when I wanted to make pot roast for the first time. 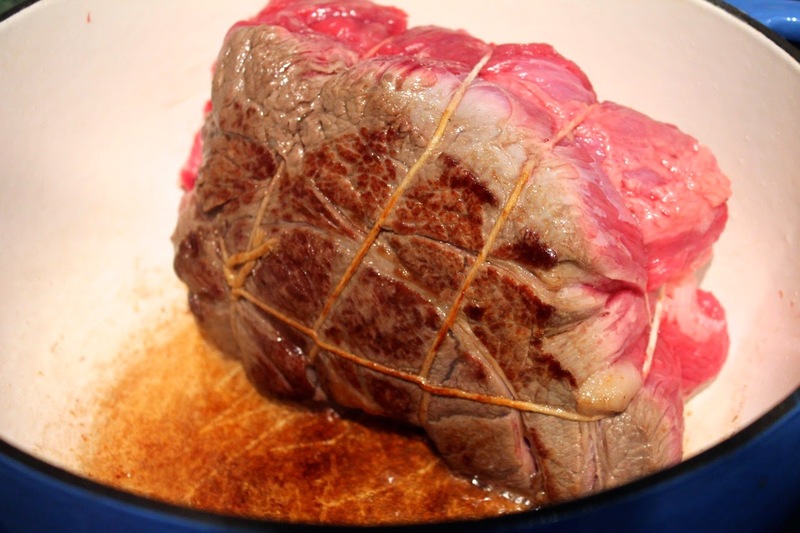 Braising, where you cook a piece of meat for a long time in time, is ideal for making a tough cut of meat tender. Cook one of these cuts fast like a steak and you'd probably be disappointed with it. Cook it long and slow and you will end up with something delicious that's also generally more affordable than typically tender cuts. 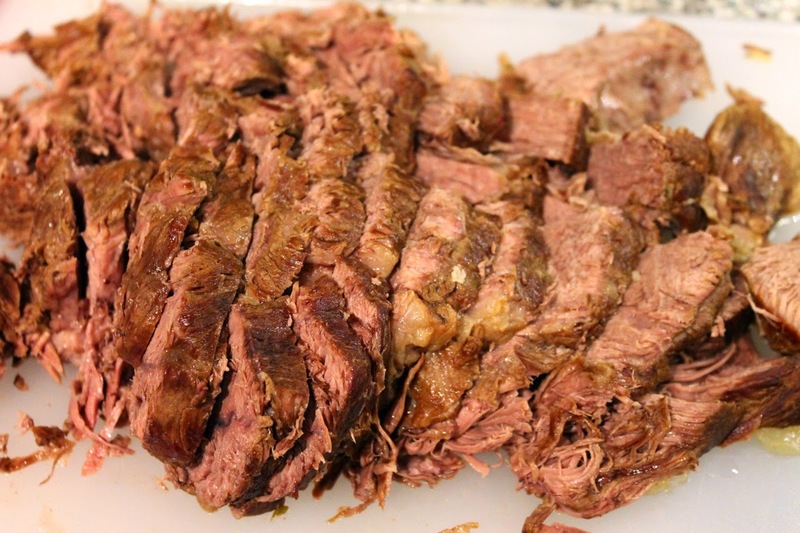 I used a top-blade roast, which is one of the recommended choices for this recipe. 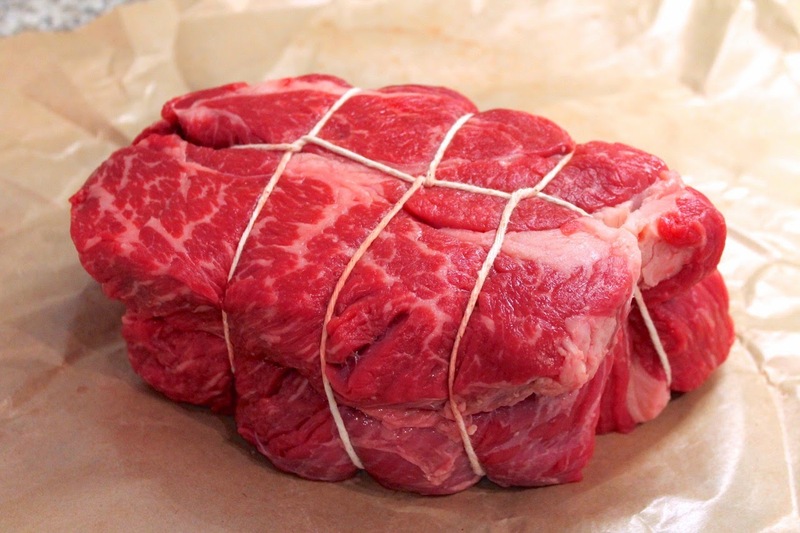 Roasts need to be tied while they cook to prevent them from falling apart--they can do that when they're on your plate. Some may come already tied, but if they don't (or the tying job doesn't look very good), you can tie it yourself with some simple string. Here's a good video showing how it's done. Then you start by browning the meat in a little oil, which adds flavor. You need two sets of vegetable for this dish: first, the aromatic vegetables that flavor the braising liquid and are discarded, and second, the root vegetables that are cooked and served with the meat. My mother made pot roasts a lot for our family when I was a kid. But strangely, I'd never made it myself until now. We were pretty happy with it. I definitely recommend this version that also braises vegetables along with the meat. You have all that good flavor from the braising liquid, so why not extend it to make a great vegetable side. 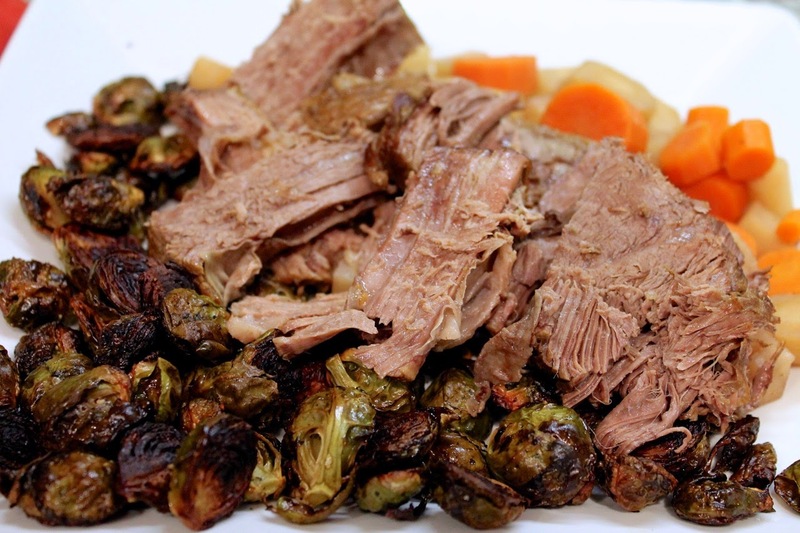 I served the roast and root vegetables with a side of roasted Brussels sprouts. 1. 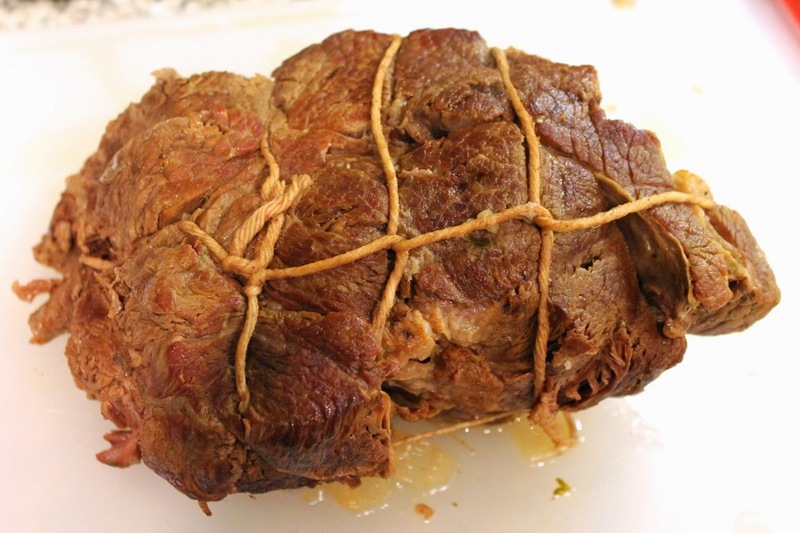 Adjust oven rack to the middle position and preheat the oven to 300 F. Pat the roast dry with paper towels and, if not already done, tie it with kitchen twine to hold it in place while it cookies. Sprinkle the roast with salt and pepper. 2. Heat oil in a Dutch oven over medium-high heat. Set the roast in the hot oil and brown on each side, about 2-3 minutes per side, 8-10 minutes total (reduce the heat to medium if the oil starts to smoke). Remove the roast and set aside on a plate. 3. Reduce heat to medium. Add the diced onion, carrot and celery. Cook, stirring occasionally, until the vegetables start to brown, about 7 minutes. Add the garlic and sugar and cook, stirring frequently, until, the garlic is fragrant. Add the chicken and beef broths and thyme and scrape a wooden spoon across the bottom of the pan to loosen any browned bits. Return the roast and any juices that accumulated on the plate to the Dutch oven. 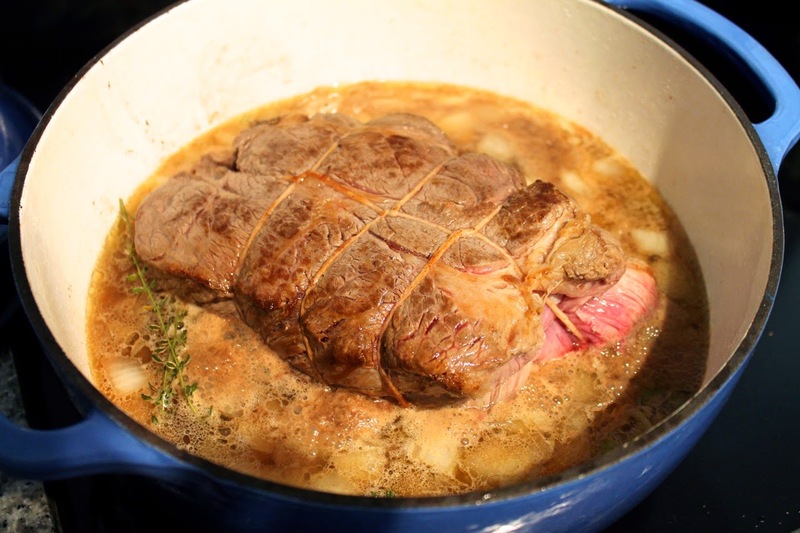 Add enough water so that that level of liquid in the pot comes halfway up the side of the roast. Cover the pot with a lid, bring to a simmer over medium heat, then transfer the pot to the oven. Roast in the oven, turning every 30 minutes, until the meat is very tender and a fork or sharp knife slips easily into the meat, about 3 to 3 1/2 hours. 4. Transfer the roast to a plate. Pour the liquid through a mesh strainer (press on the solids with the back of a large spoon to extract as much liquid as possible) and discard the solids. Return the braising liquid to the pot. Allow the liquid to settle for 5 minutes, then use a wide spoon to skim off excess fat off the top of the liquid. Discard the thyme sprig. 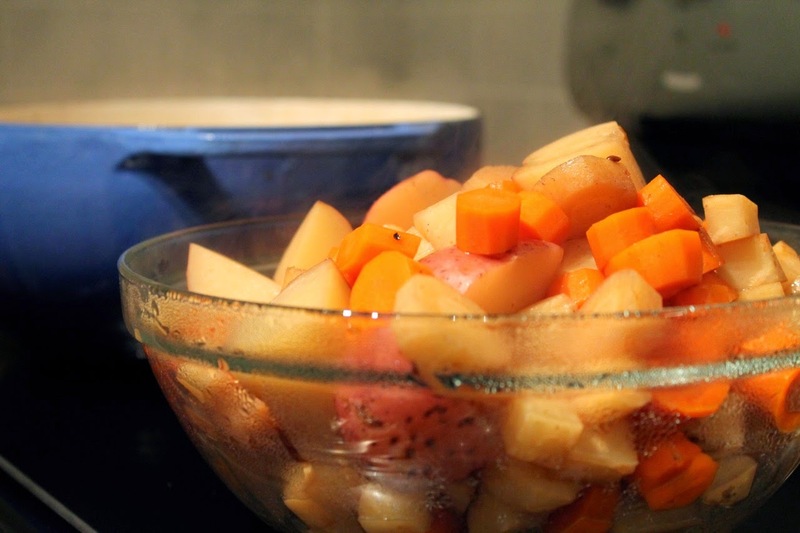 Return the roast to the pot and add the sliced carrots, red potatoes, parsnips and celery root. Cook until the vegetables are almost tender, about 20 to 30 minutes. 5. Transfer the roast to a carving board and tent with aluminum foil. Add the wine to the pot and season with salt and pepper. Increase the heat under the pot to medium-high and bring to a boil. Cook another 5 to 10 minutes until the vegetables are quite tender. 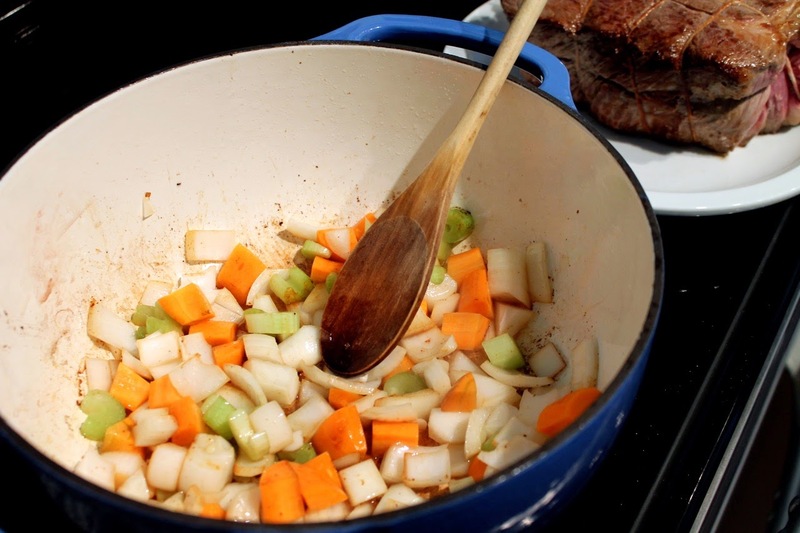 Remove vegetables with a slotted spoon and reserve the liquid. 6. Cut the meat into 1/2-inch slices. Serve on plates with a side of the cooked root vegetables. Pour about 1/2 cup of the braising liquid over the roast and vegetables.